Designing a website that looks good can be a daunting task. Today's websites have to look good on many different platforms. Your website should represent how you want others to see you, maybe before they even meet you. Believe it or not the design is the most important aspect of a web presence. You can have some great ideas. However, if your presentation looks unprofessional it is a reflection upon you or your business, club, association, or whatever your presence on the web represents. You have great ideas for your website. However, you don't want to get involved in long hours of design and planning on your own. Maybe you have tried creating a website and it just doesn't look professional. 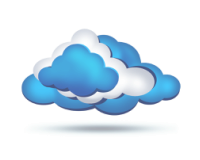 Get the job done by Personal Cloud Websites. We will design and create the entire package for you, exactly as you want it. Once approved and completed you can make timely changes in a few clicks from anywhere, on any computer, with Internet access. Of course, we will always be there to help if you need us.